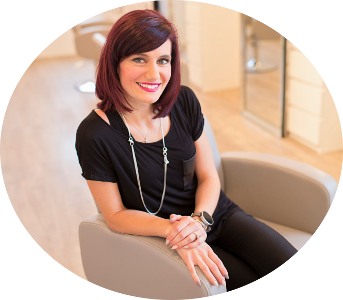 Kristie is an expert stylist, our fearless leader and owner of Luxe Beauty Company. She has been behind the chair for fifteen years and has built a devoted clientele who return again and again for the truly one of a kind service she provides. She has spent her career furthering her skills in all areas of the industry and has travelled extensively throughout North America doing so. 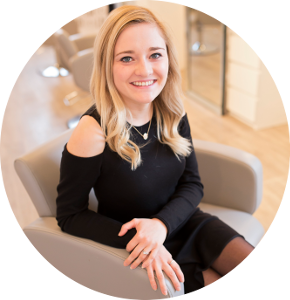 Kristie believes in fostering new talent in her salon and is always there to provide hands on advice to her stylists with the goal of helping them reach their full potential. 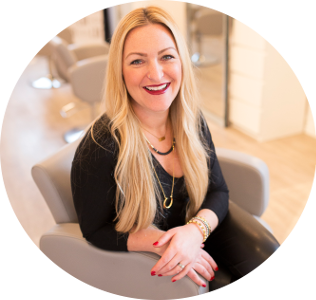 She possesses unparalleled product knowledge of both Bumble and Bumble and Kerastase and specializes in Women’s cuts and colors. While it’s hard for her to step away from her passion, she spends most of her time away with her family. Janelle is a Creative stylist at Luxe Beauty Company and has been doing hair since 2008. She attended MC College in Saskatoon and has been behind the chair ever since. She has expanded her knowledge base with advanced cutting and coloring classes most recently with a Hair Painting course. She considers her specialty to be precision Men’s cuts, but loves to do everything and get creative with all types of cuts and colors. In her spare time, she enjoys travelling, shopping, dancing and spending time with her family. 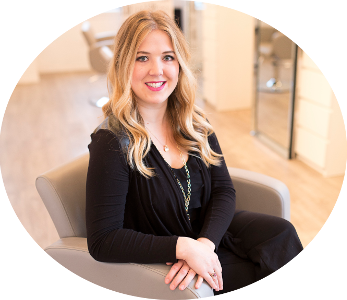 Karissa is a Creative stylist at Luxe Beauty Company, and has been behind the chair since 2009. Since attending hair school at MC College in Saskatoon, Karissa has advanced her skills in cuts, colors and styling by taking additional courses. She considers her specialties to be highlights, grey coverage coloring and is an expert updo artist. She is currently working on her landscaping skills in her new home, and has a Bengal cat named Loki that she has managed to train to perform tricks like sit, shake a paw, high five and spin. Heidi is a new addition to LBC and fresh from Hair School. She comes to Saskatoon from Manitoba bringing all her enthusiasm for her new career with her. She’ll be spending the next while learning the ropes at Luxe and assisting our experts while she gets her feet wet taking on clients of her own as a Fresh Stylist. She is very excited to dive into a career in the beauty industry and to work with the talented staff and amazing products found at Luxe. We are so happy to welcome her to the team and can’t wait to help her reach her goals behind the chair. In her spare time, Heidi likes going to the lake, camping and spending time outdoors with her family. Heidi is a new addition to LBC and fresh from Hair School. She comes to Saskatoon from Manitoba bringing all her enthusiasm for her new career with her. She’ll be spending the next while learning the ropes at Luxe and assisting our experts while she gets her feet wet taking on clients of her own as a Creative Stylist. She is very excited to dive into a career in the beauty industry and to work with the talented staff and amazing products found at Luxe. We are so happy to welcome her to the team and can’t wait to help her reach her goals behind the chair. In her spare time, Heidi likes going to the lake, camping and spending time outdoors with her family.